Anyone who is really devoted to a certain activity normally has certain other practitioners that they admire. Teachers or professionals, they represent a certain level that you aspire to and there is nothing more exciting then getting to meet or study with them. This year is a big one for me yoga-wise. 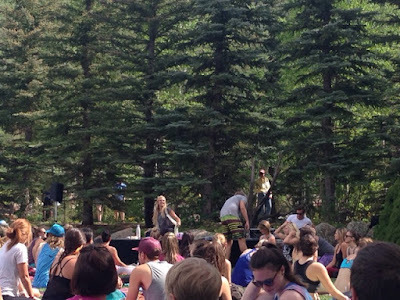 Besides my teacher training, Wanderlust is coming in just a few weeks, and part of my excitement is the knowledge that I'm going to be studying with Kathryn Budig, Chelsey Korus, and Matt Giordano while there. 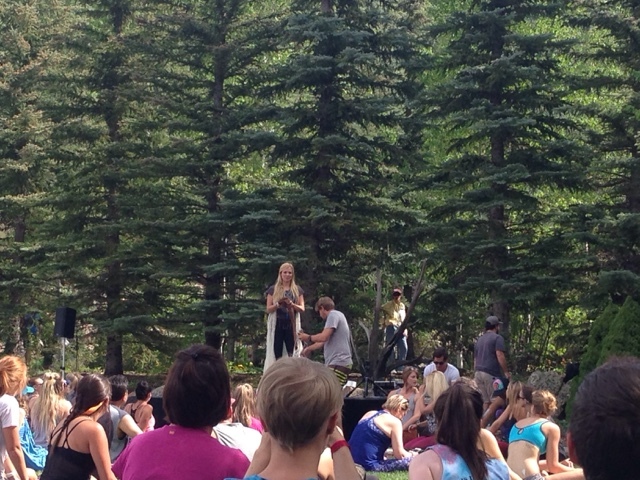 Another yogi on my list has always been Yoga Girl, aka Rachel Brathen. A few month ago I found out she was coming to Colorado, and I had to jump on that chance! 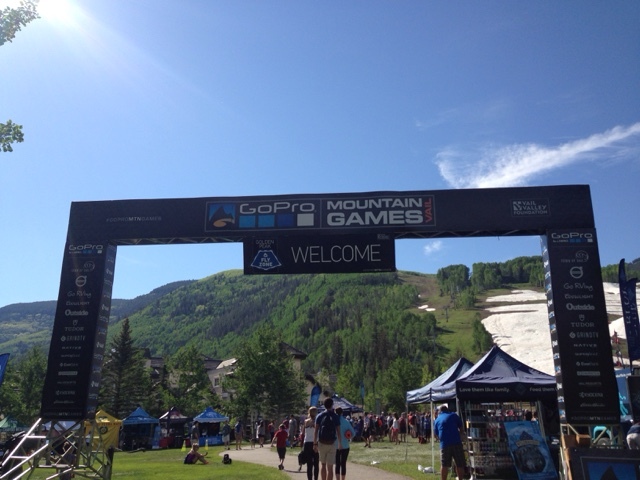 This past weekend I headed up to Vail for the one of her classes (The Art of Letting Go) at the GoPro Mountain Games. The location alone made it worth the trip. 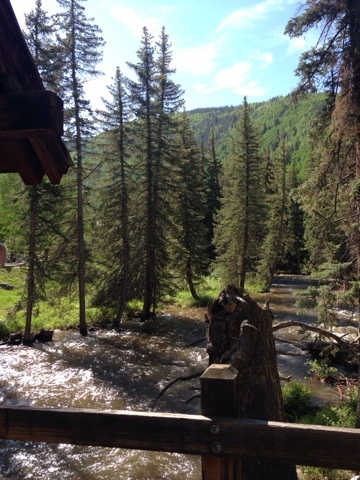 Vail is gorgeous!! The class was a standard all levels class, but with a really incredible twist, as she had us pair off for some special sharing. It was intense and beautiful, and really made the experience unique. There were about 600 of us there! And even more awesome... afterwards she stuck around to meet anyone who wanted to meet her! We lined up, and one by one she greeted, listen to, and hugged at least 300 of us! It was a fun, beautiful day, and I'm so glad I had the chance to learn from such a sweet soul. Now all I need is a class with Shiva Rea (and some private classes with one of these yogis), and my current list will be complete!